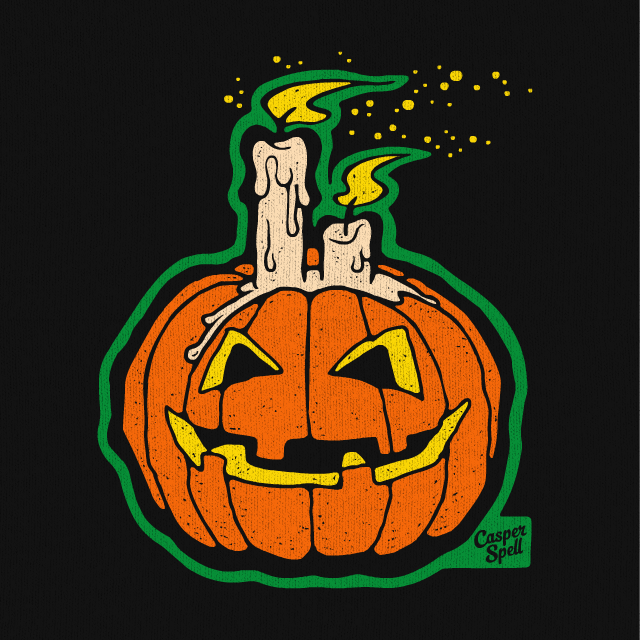 It’s bad luck to not keep those pumpkins & jack-o-lanterns lit on night on Halloween. “Light All Night” by Casper Spell. Visit www.CasperSpell.com. 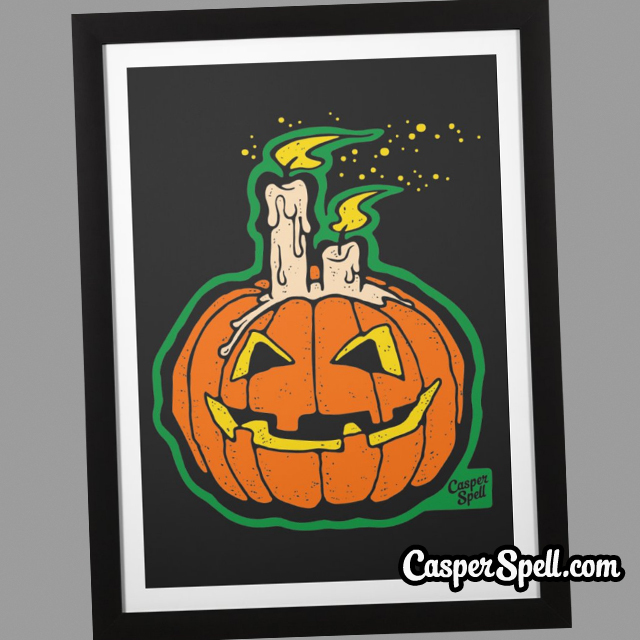 This entry was posted in Character, Halloween, Illustrations, Merchandise, Posters, Surface Designs, Tee Shirts. Bookmark the permalink.